[!I have planted my in a barrel. Few months back its leaf started turn yellowish . I feed it with iron containing fertilizer . Now its leaf becoming brown , like it caught fire. What i have to do now?.. 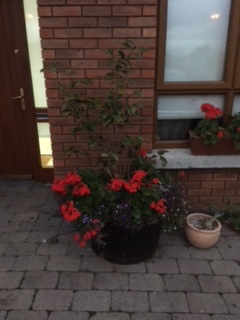 This plant is not over watered and it now getting better sun than it was on ground. 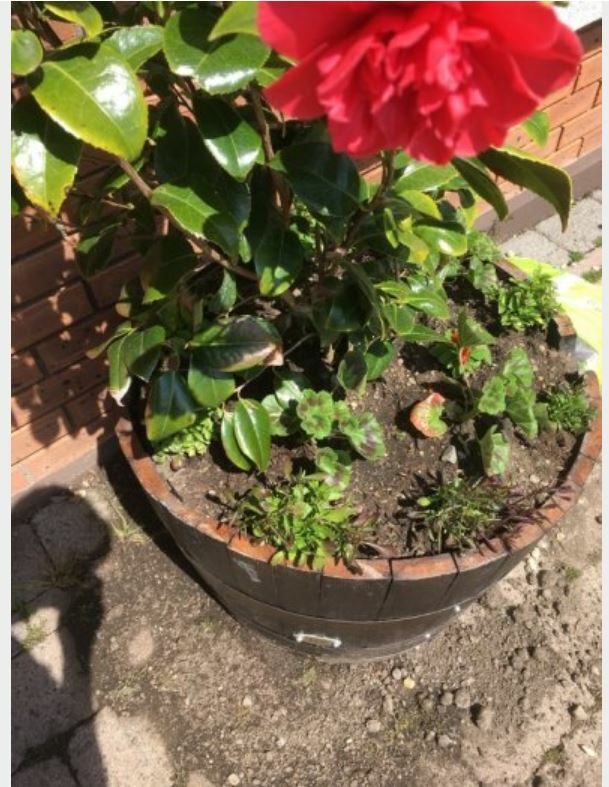 This plant was perfect while it was on ground?.So the main question is camelia good to grow on barrel?. You say you moved this Camellia from the ground into a barrel earlier this year - that might mean some root damage was caused, and that would show itself in the foliage. It's not possible to see how big (or not) the Camellia is from your photograph in relation to its container, nor do you say whether it flowered this year, both of which would have been useful to know. However, assuming there was no root damage, and that you did not cram the rootball into the barrel (in other words, there was plenty of room to accommodate the roots without cramping them up to get them in) the most likely explanation is you've not kept up with sufficient watering, given it's now in more direct sun than it was. 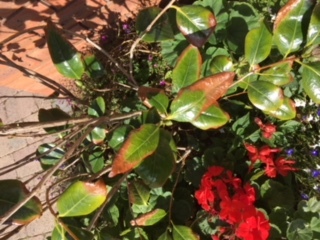 This is a plant that prefers moist but well drained soil and partial shade; if you had a hot summer, the sun would have been very strong and may have scorched the leaves as well as causing a requirement for extra water - in such conditions, it should have been given a good gallon or so of water possibly twice a day, but certainly daily, reducing that to every few days once the heat abated. 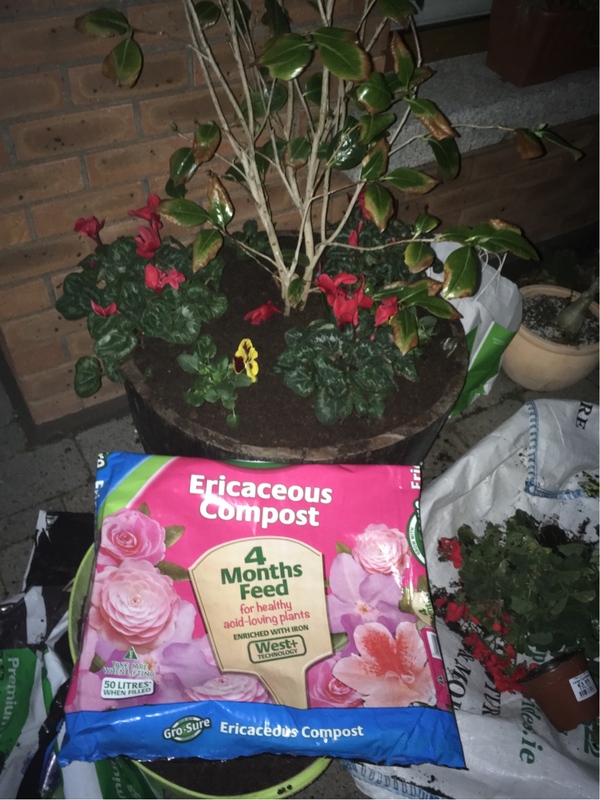 You don't say if you used potting soil (hopefully you did, and it's not potted in soil from the garden), or what type - it should have been new, ericaceous potting compost, which is specially intended for use with acid loving plants such as Camellia. If you did not use this type of potting soil, it's probably worth unpotting it, removing what you can of the existing soil, and repotting using ericaceous. I'm assuming there is good drainage from the barrel, either through the slats at the base if it has them, or it has drainage holes drilled into the bottom. It looks as though there are other plants in with the Camellia - remove those, it needs all the root space it can get. Not the answer you're looking for? Browse other questions tagged plant-health containers shrubs camellia or ask your own question. Why does my pepper plant have yellowing, drying and curling leaves? How Should I Take Care of These Two Phalaenopsis Orchids with Different Behaviors? Help! My Song of India (Dracaena reflexa) plant is dying! How much sun for a hellebore plant?